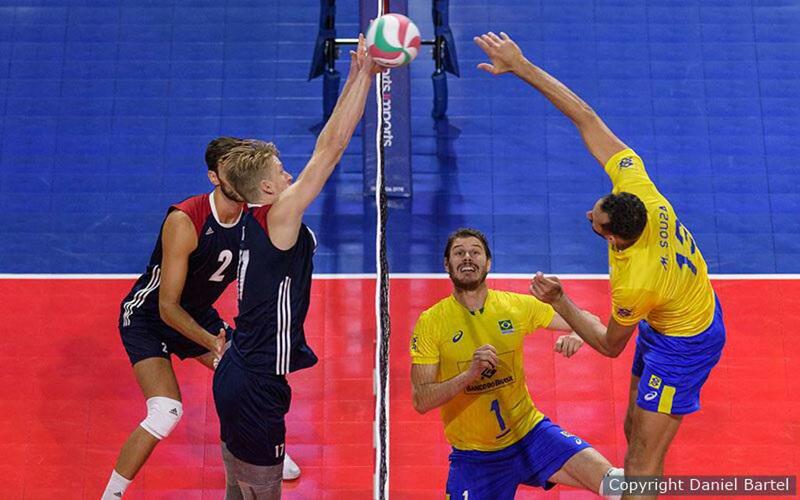 As a middle blocker (at UCLA), I always found that instead of watching the release of the ball, it was better to actually look at the setter’s hands. That was an epiphany to me. Once I started doing that, I was able to read much faster, so I teach my blockers to literally look right at the hands, and I think that’s very effective. It’s also important to notice body position. Some setters will face the left back corner when they set back and they’ll face the outside pin when they set forward. Some setters will face the bic when they set it. Less experienced setters often lean back when they’re back-setting. 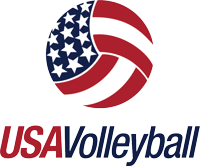 There are all kinds of cues – shoulder angles, how the ball is in relationship to the setter – that will indicate where the ball is ultimately going to go. Block with your feet as well as your hands. I think a lot of people forget that it’s important how your feet are positioned before you jump. With fast offenses, sometimes the priority is getting your hands over the net and locked early, but when you’re playing junior club teams – which, for the most part, are slower offenses with more high balls – your feet are what cause your upper body to either go straight up or drift one way or another. You want to go straight up. So if you’re moving to your left, your weight when you’re jumping should be on the inside edge of your left foot and the outside edge of your right foot. You’re angling your feet like a hockey player because your momentum is going one way or another. You need that hockey stop to harness the energy in order to go straight up and over the net and not drift. When I [saw] my left-side blockers drifting, [I'd] say, "Block with your feet," and they know what that means. It’s better to be over the net than high above the net. Often you see blockers with arms straight and high above the net. While you will never have someone hitting over you with this arm position, you probably will get hit off and down the front of. Sacriﬁce a little of the height and get farther over the plane of the net. In this way you block with your hands (more control) and not your arms (less control), and there’s an added bonus: The farther you get over the net, the more court you’ll protect. Often players who reach straight up when blocking are jumping too close to the net. Have players stand a little farther off the net to help them get over, rather than up, with their hands. The fundamental goal of blocking is to get your hands across the net where the hitter intends to hit the ball and leave them there for as long as possible. The ﬁrst step in doing this is learning to read and not guess. Getting your eyes on the setter and studying their hands and shoulders will let you gather the information to move in the right direction. Getting your eyes on the hitter as soon as you can will let you determine where they intend to hit. Blocking is usually practiced in a controlled setting where two (or three) players are pressing over the net with both hands. In the real world, however, blocking takes more creativity and situational awareness. Sometimes it’s only possible to get one hand over the net, and one is better than none. In the same vein, blockers are always told to penetrate as far as possible, but when the attacker is way outside the antenna, I tell blockers not to penetrate – it’s just too easy to get tooled.